Enacts the Home Inspector Licensing Act to regulate and supervise the business of home inspection and evaluation by the newly created NM Home Inspectors Board. Creates the Home Inspector Fund and appropriates $200K to the fund for use in 2020 and subsequent years to carry out the purposes of the act. Exempts auctioneers working under the control of a qualifying broker by means of an express written agreement from licensure, provided the auctioneer who is not a broker may only receive a fee for services performed in the auction and not a commission. Authorizes the NMREC to require that a Real Estate Broker who manages residential Real property to provide a bond in order to protect the property owner. Appropriates $1 million (GF) to the Economic Development Dept. 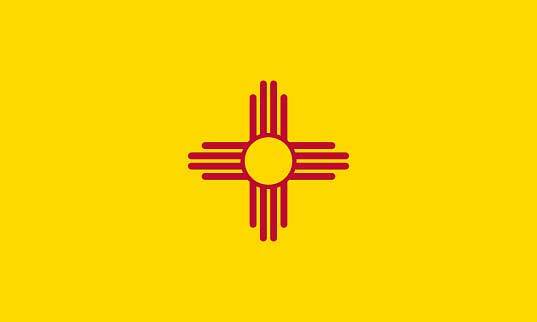 for use in FY 2020 for a targeted marketing and research campaign to attract retirees to live in NM. Amends the Uniform Licensing Act to bar requirement to resubmit fingerprints for license renewal where they were required and submitted for initial issuance. Sets forth requirements for environmental assessments and impact statements. Appropriates $1 million to several agencies for two full-time positions to carry out provisions on the act. Amends the HOA Act including a $300 cap that can be charged for disclosure statements. Designed to deter theft of copper wiring and other “regulated materials” by adding cost of repair to a crime: if over $3,000 the crime becomes a felony. If a judgment is rendered against a renter, the renter and all occupants will be prohibited from re-entering the premises for 180 days without the permission of the owner. Limits the 3% cap on year-to-year increase in residential property valuation to owner-occupied residences. Applies to 2020 and subsequent property tax years. The House Agriculture and Water Resources Committee Substitute for House Bill 374 adds two new sections to Chapter 72 (Water Code) Article 12 to include additional requirements for an applicant desiring to supply water to an entity with a forty-year water use planning period, and further requires the state engineer to apply existing law to the specific facts raised by the application. Lastly, the bill amends Section 72-12-3 (Application for Use of Underground Water; Publication of Notice; Permit) to make clear third-party applicants desiring to appropriate water to an entity described above must also comply with the additional application requirements. Includes residential solar energy systems within the list of exempt tangible personal property for the 2020 and succeeding property tax years. Requires a builder of a newly constructed home to provide a warranty to the owner guaranteeing the home is free from certain defects. House Taxation and Revenue Committee Substitute for House Bill 429 proposes a restructuring and modest increase in income levels necessary to qualify for a property tax valuation freeze from $32,000 to $35,000. This income limit is indexed to the Consumer Price Index (CPI-U), with a base year of 2020 and a calculation year of September of the year before the tax year. This House Bill 429/HTRCS – Page 2 restructuring will allow indexing to actually work to increase the $35,000 limit each year to account for inflation. Senate Bill 106 removes an exemption from the local-option occupancy tax (3-38-13 et seq. NMSA 1978) for short-term rentals (less than 30 days) by a vendor that does not offer at least three rooms within or attached to a taxable premises for lodging or at least three other premises for lodging or a combination of these within the taxing jurisdiction. It appears the intent of this bill is to remove an unanticipated tax exemption for homeowners who rent rooms through third-party websites and applications, as well as to level the playing field between designated and compliant accommodations and somewhat less compliant accommodations.